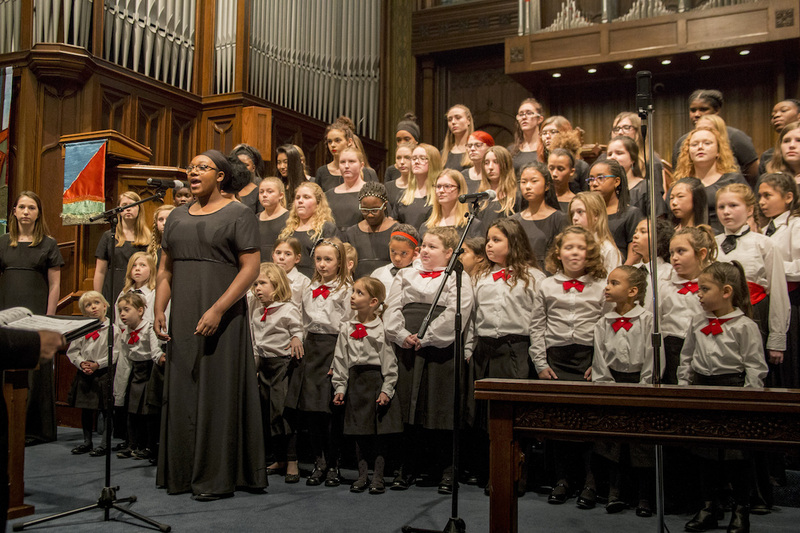 The Girls Choral Academy has been able to serve over 2,500 girls in the past 20 years, and we are just getting started. Help us celebrate 20 Years of Giving Girls a Voice by being a part of our endowment campaign and be a part of our legacy of inspiring young women in our community. Together we will build self-confidence, cultivate leadership, and give the gift of song to thousands of more girls in the future. In honor of our 20th anniversary, we are raising $200,000 for ongoing scholarships. We are also seeking 20 planned gifts to further grow our endowment to continue the legacy of music. Outright Gift: Contributions can come in cash or through donating assets such as stocks. Make an online donation using the form on this page. Pledge: For your convenience gifts may be payable over three years. Planned Gift: A gift through an estate, will, or trust can be specified for the Girls Choral Academy. Commemorative Gifts: Every $20,000 raised equals one endowed scholarship for a girl. We invite you to name a scholarship in honor of or in memory of a family member, friend, loved one or business. For more information, please contact us at 616.361.6111 or email angela@girlschoralacademy.org. Leave a legacy of music to future generations through a planned gift. Planned gifts can take different forms including a will/ trust estate gift or as a retirement or insurance benefactor. If you would like to make a planned gift to the Girls Choral Academy please contact Angela@girlschoralacademy.org or call 616.361.6111 so we can discuss the details of your gift.